This simple pattern for The Intellect has just been published and is now available for purchase on ETSY and RAVELRY. 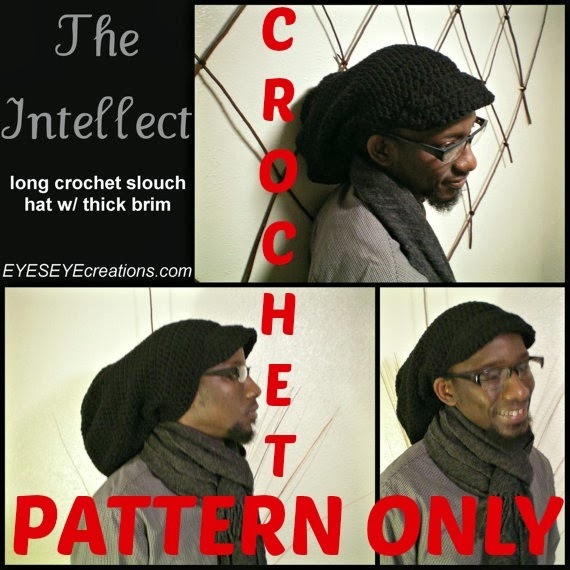 This hat is unisex and was designed for those with long hair (particularly dreadlocks). It is an extra long slouchy hat with an average sized brim / bill.